2015 hit series Gogglebox will be back on the air within a month. The show returns to the LifeStyle Channel at 9:30pm Wednesday September 30th with a Free to Air broadcast at 8:30pm Thursday October 1st on TEN. The series was renewed for further episodes earlier this year, after winning over sceptical viewers with its simple premise about TV viewers watching TV. The joint Foxtel – TEN show also set the scene for closer alliances between the two networks. 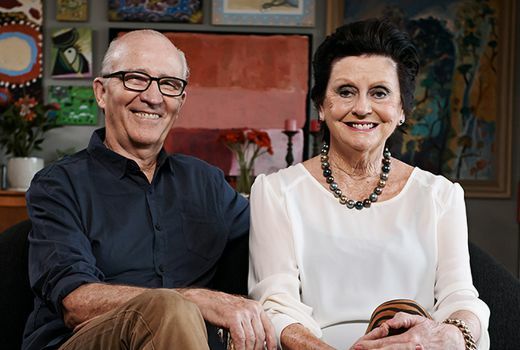 Gogglebox was the break-out show that had everyone talking, capturing the reactions of 10 ordinary Australian households as they watched the nightly news, argued over politics, cheered their favourite sporting teams and digested current affairs and documentaries. All your favourites from season 1 will be returning in season 2: vivacious friends and housemates, Angie & Yvie; best mates and larrikins with a thirst for life, Adam & Symon; bubbly Greek best friends, Anastasia & Faye; the close-knit Dalton Family; the fun-loving Delpechitra Family; the sports-crazy Jackson Family; the quirky, fun and intelligent Kidd Family; the couple happily married for 30 years, Lee & Keith; Indigenous Art Dealers, Mick & Di; and newly-engaged cocktail-loving Wayne & Tom. Foxtel / TEN confirm full cast is back. Great to see Gogglebox back again. One of my favourite shows of the year – really funny and entertaining. Took it with a grain of salt as I thought this was a stupid idea, but ended up watching the last 2 or 3 episodes of this and I am hooked. Who thought watching people watching TV would be so funny? I’m a little annoyed that Gogglebox isn’t on TEN Play. I missed a couple of episodes, but when I checked TEN’s catchup service, Gogglebox wasn’t there. Hopefully that will be remedied this season. Yay! Without a doubt it has been this year’s unexpected gem for me. I hope at least, we get to see the Gogglebox look at Restaurant Revolution… Now that would be interesting. Unlikely, as it ends this week. I thought the Gogglebox families should have ruled on Hotplate v MKR. No lawyers needed! Yes! This is the funniest show. Can’t wait! Absolutely love Gogglebox. A real little gem. Pleased to see all of my favourites are back for the second season. Having The Bachelorette on air at the same time will give Gogglebox some good canon fodder. Cast changes are to be expected, they did and still do change/add to the cast in the UK version. Lots of season 1 cast are not in the current season. The UK version also returns to screens (unfortunately not in AUS) in October too. I’m not sure about Tom and Wayne, I feel like the one on the left has little to contribute and the one on the right is aware of the cameras and is acting up more than he naturally would be. One of the real gems this year!